Even though it was as far from the battlefields in Europe and the Pacific as you can get, there were important things happening here that impacted the war. 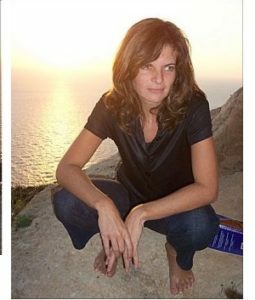 Libby Fischer Hellmann left a career in broadcast news in Washington, DC and moved to Chicago 35 years ago, where she, naturally, began to write gritty crime fiction. Fourteen novels and twenty-five short stories later, she claims they’ll take her out of the Windy City feet first. 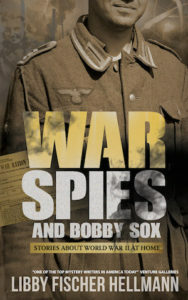 Her most recent release, War, Spies & Bobby Sox: Stories about WW2 At Home was released March 1, 2017. 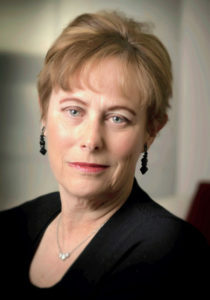 Her novels include the now five-volume Ellie Foreman series, which she describes as a cross between “Desperate Housewives” and “24;” the hard-boiled 4-volume Georgia Davis PI series, and three stand-alone historical thrillers that Libby calls her “Revolution Trilogy.” Her short stories have been published in a dozen anthologies, the Saturday Evening Post, and Ed Gorman’s “25 Criminally Good Short Stories” collection. 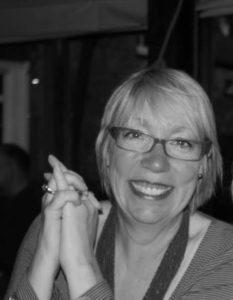 In 2005 Libby was the national president of Sisters In Crime, a 3500 member organization dedicated to the advancement of female crime fiction authors. 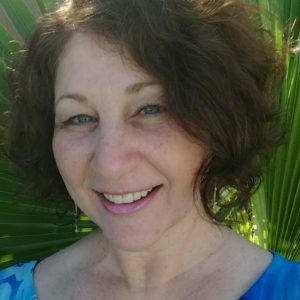 Her website is http://libbyhellmann.com. Your book is actually an anthology, which is rare in historical fiction. What’s the nutsell version? WS&B is my 14th crime thriller. 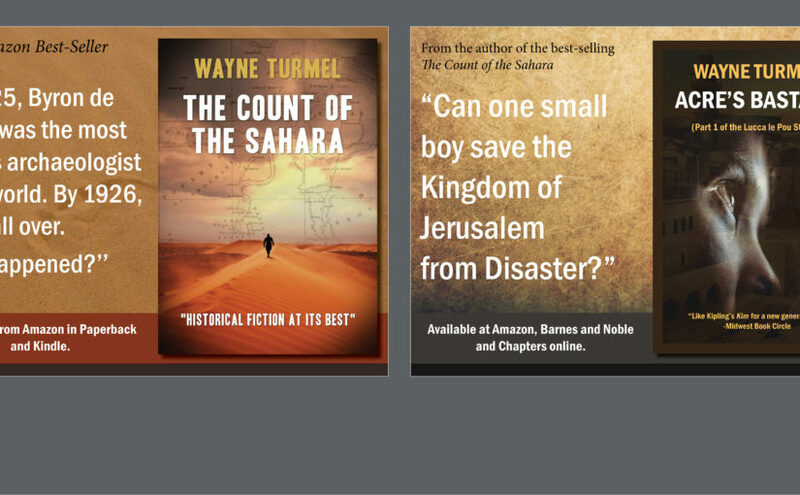 (I have published five novels in one series, 4 in other, and 4 stand-alone historical thrillers.) The sub-title is “Stories About World War Two At Home” which is pretty much self-explanatory. WS&B is slightly different than my novels because it’s a collection of two novellas and one short story. But all three are set in and around Chicago during World War Two at home. The first story, “The Incidental Spy”, is about a woman who worked in the Physics Department at the University of Chicago during the early years of the Manhattan Project (before it was officially called that, of course). “POW” is about two German POWs who were imprisoned in a camp that actually existed in Glenview. And the 3rd story, “The Day Miriam Hirsch Disappeared” was set in Lawndale, which, in the 1930s, was a thriving Jewish community in Chicago. I liked them all, for different reasons. What was about this time period that intrigued you enough to do three different stories? I’ve always been an avid reader of WW2 fiction, because I think it’s the last time in recent history where there was such clarity between good and evil. It was a time where some people turned out to be heroes while others became cowards—or worse. So it presents a wonderful opportunity for complex character development. At the same time, though, I was intimidated at the prospect of writing about the war. So many rich, beautiful stories have already been written (NiGHTINGALE, ALL THE LIGHT WE CANNOT SEE, UNBROKEN, SARAH’S KEY, and more) I wondered what I could possibly add. A friend of mine, however, thought differently, and while she didn’t dare me, she did encourage me to write about the era. Eventually I took a deep breath and dived in. My caveat was to choose small pieces of the human “canvas,” since I couldn’t write about battles and military actions. There are several. The scenes in Hyde Park near the U of Chicago were really fun to write, as was the description of the “Pile” (the first nuclear reactor) underneath Stagg Field. I also loved writing about the emotional tug of war in POW between Mary-Catherine and the two German soldiers. Lawndale, another South side setting, was fun to research, as I actually met a couple of “old-timers” who grew up there. What I liked about your Lawndale story was the clash of cultures and class inside the Jewish community, which a lot of people under a certain age aren’t aware of. Good stuff. Where can we learn more about you and your work? One of the nice things about constantly coming across other Historical Fiction writers, is being on their blogs, and getting to rattle on about stuff including my own work. Clare Flynn, who I interviewed a couple of weeks ago about her book, The Chalky Sea, invited me and asked some good questions. So, what’s your story, Clare? I live on the south coast of England – Kipling’s “Sussex by the Sea”, in Eastbourne, a seaside resort with a Victorian pier and a beautiful seafront bandstand built in 1936. I moved back here just over a year ago from London. I spent my teenage years in the town and always loved the South Downs and the sea – both of which are outside my windows and I can hear the screams of seagulls as I write this. I have used the town as the setting for my latest book, The Chalky Sea – although I had not planned to do that when I moved here. 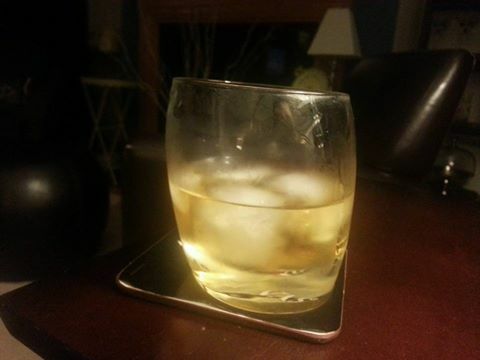 I am now writing full-time, after a long career in Marketing and then as a strategy consultant with my own business. My career took me to some wonderful places – I lived in Paris, Brussels, Milan and Sydney and did a lot of travelling all over the world for both business and pleasure. 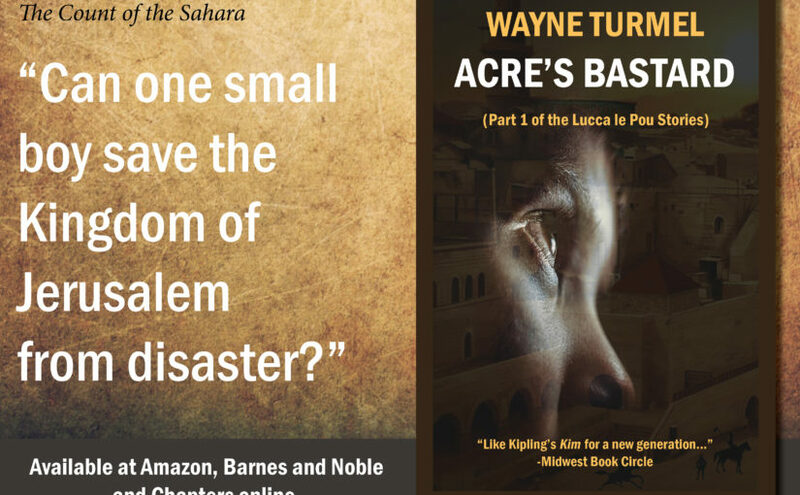 I write historical fiction, often about displacement and with a strong sense of place. 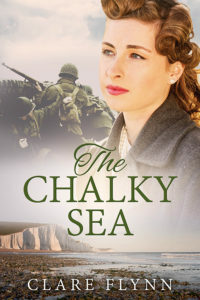 The Chalky Sea is my fifth novel and I have also published a collection of short stories. It’s the wartime story of two people. Gwen is a thirty-something Englishwoman whose husband has just headed off to war. She is stranded in Eastbourne – by choice, working for the Women’s Voluntary Service and training as a fire warden and subsequently as a translator of German signals. The war gives her a purpose her peacetime life has lacked. Gwen appears emotionally cold, having bottled up her feelings for years. Jim is a young Canadian farmer from Ontario. He joins up on the spur of the moment after an unpleasant discovery that makes him want to get as far away from home as possible. He arrives in England expecting to fight and caring little if he dies ­– only to find himself kicking his heels in Aldershot like most of the Canadian army, performing endless exercises far away from the front. Eventually the two story strands come together and we see how the war changes each of them. These are people who in normal circumstances would never have met. Ah yes, because when you think romance, Canadians leap immediately to mind…. Besides our natural magnetism, what is it about the time period or the story that intrigues you? I never intended to write a book set in the `Second World War. In fact I’d always shied away from it. It seemed too big and in some ways too recent – my father was a pilot in the RAF and my Mum was evacuated as a child. When I moved to Eastbourne I discovered that the town had a little known significance in the war – noted for being the most frequently raided in the south-east of England. Almost two hundred people, mostly civilians, lost their lives in bombing raids and there was wholesale destruction of homes and many notable buildings including the town’s library, fire station, two churches and many shops. German bombers even machine-gunned people in the streets and one of the worst raids happened while people were doing their Christmas shopping in Marks & Spencer – completely destroying the store. The other little known fact was that Eastbourne was home to thousands of Canadian soldiers during the war, with troops moving in and out of the town and its surrounds constantly from July 1941 until just before D-Day. I discovered that the Canucks of the 23rd Field Regiment used to drink in both my two local pubs, the 31st and 46th Batteries preferring The Ship with the 83rd Battery favouring The Pilot, which they treated as a second home. They used to park their tanks on the local streets (destroying much of the old Victorian brick paving) and there was an officers’ mess in one of the houses in my road. The first German plane shot down over the town during the Battle of Britain landed in the playing field of the school down the road. How could I resist? Good point. Without giving away the store, what’s your favorite (or favourite) scene? Oddly enough it was a scene I wrote in my final revisions. It happens in the nearby port of Newhaven on the day of the ill-fated and tragic Dieppe raid in which around nine hundred Canadians lost their lives. My scene is at the harbour as the ships return bearing dead, wounded and survivors. I had “under-written” this, skating over it too quickly, despite one of the key characters being directly involved in the raid. Fortunately my editor called me on it – I immediately knew she was right and still can’t understand why I had missed something so obvious. I sat down to rework the scene and I hope that this time around I did it justice. I also enjoyed writing a lot of the Aldershot scenes. When I realised some of the book would need to take place there I wasn’t exactly thrilled. Aldershot was another place I once lived in (aged about seven!) and it was singularly unmemorable – basically an army garrison town. As the poor old Canucks nearly went out of their minds with boredom there, I thought I would too – but I ended up really enjoying writing the Aldershot chapters. A character, who was meant to feature briefly in one scene, elbowed me out of the way and wouldn’t get out of the book. She has now forced her way into being a main character in the sequel I’m working on now, set in Canada. Where can we learn more about The Chalky Sea and your other books? Even growing up in Canada in the 60s and 70s, the Vietnam War was present throughout my childhood. I remember watching Walter Cronkite with the “scoreboard” up behind him. Every Canadian high school had that cool English teacher who appeared to come from nowhere (usually with long hair, bellbottoms, an acoustic guitar and a vaguely Midwestern accent) and I’m fascinated by the many books and films that have come from that era–both the classics and the crap. 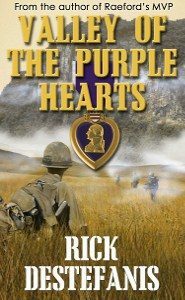 Enter Rick DeStefanis and his new novel, The Valley of Purple Hearts. 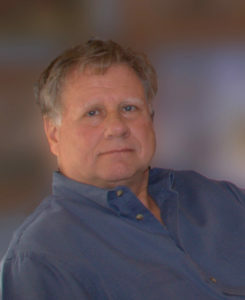 Rick is known as “The Word Hunter.” The author of six books, he brings a wide range of life experiences to his writing. His experiences as a paratrooper with the U.S. 82nd Airborne Division from 1970 to 1972 predicates his Vietnam War Series, a collection of novels written as historical fiction, but which exceed simple genre classification. DeStefanis writes not only about men at war, but the women they love and their families back home, as well as the people of Vietnam. His novel, “The Gomorrah Principle,” was a Readers Choice Book Award Winner in 2014. 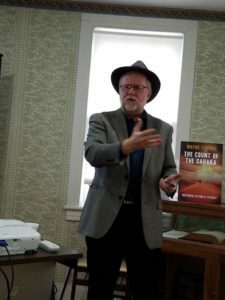 He also published “Tallahatchie” in 2016, the first book in his new Southern Fiction Series. Rick presently lives in northern Mississippi with his wife, Janet, six cats and a male Labrador retriever named Blondie. I’m not going to even think about the gender identity crisis you’ve created for your poor dog. Let’s get to the book. What’s the story about? Have you ever wondered about that father, grandfather, uncle or brother who served in Vietnam? What was it that he refused to talk about? Or perhaps your question is: Why did he drink so much, or couldn’t keep a job, or had three divorces? What was it that made this person that way? These things are what “Valley of the Purple Hearts” is about. It’s about a squad of paratroopers with the 101st Airborne Division fighting in Vietnam, immediately after the 1968 Tet Offensive. It’s about their lives, their friendships, their loves, the war and the aftermath. I like to call it my Vietnam War version of A Farewell to Arms. Protagonist Buck Marino is a dumb kid from Mississippi who finds he is facing the consequences of his poor decision to join the army and escape the rural farm life of his deceased parents. And when he meets Army nurse, Janie Jorgensen, he falls in love, only to realize the war has destroyed his vision of a happy life. 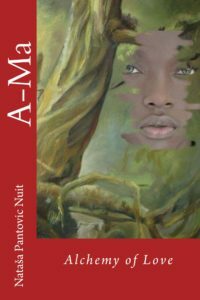 This book is about the violence of war, the effects on the soul and redemption. I’ve listened to their stories and read dozens of non-fiction accounts by Vietnam War combat veterans. Many of their books are very well written. Most are not. This is not to degrade the efforts of brave men attempting to tell their stories, but merely to state an observation. And the most recognized stories are those that have been bastardized by Hollywood for the sake of entertainment. The problem with the veterans’ stories is that describing the pain of burning alive is probably not quite possible after the fact. Most cannot see beyond the flames that consumed them. Historical Fiction allows a knowledgeable author to show the deep emotions the veteran cannot often sufficiently express. It allows a certain exposition from an external perspective that cannot be otherwise replicated. 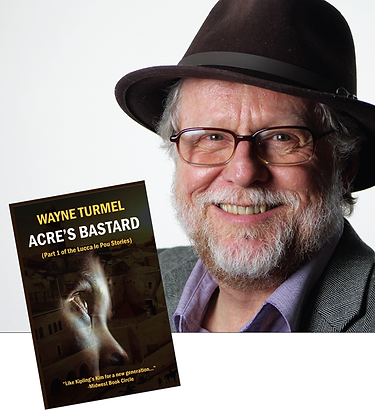 Historical fiction goes deep into the human psyche, a place where many fear to tread. Is it your own experience that makes that period so intriguing for you? I was a wall flower who got dressed for the big dance and was left behind. I trained; I did everything in preparation to go to Vietnam. I even got orders, but my military orders were change at the last minute to go to the 82nd Airborne at Fort Bragg. A year later, while still serving with the 82nd Airborne Division, my friends from AIT at Fort Polk and Jump School at Fort Benning began returning from their tours of duty in Vietnam. I spent many an hour in bars in Fayetteville, North Carolina listening to their stories and the hell I missed. Even then, these combat veterans refused to let me write about their experiences. My only option became to write them as fiction, with the mission of telling the things they revealed to me (only when they had consumed enough alcohol to bear the pain). My novels are their stories, and I tell them for the purpose of giving credit to a generation of combat veterans who were marginalized in a political climate very similar to that which we are experiencing today. Without giving away the goods, what’s your favorite part of Valley of the Purple Hearts? The ending! Okay, that’s true, but let’s talks about my “second” favorite scene. 1968 was the beginning of the “sexual revolution.” Youth in America were breaking away from the rigid mores of their parents. This led to a certain degree of promiscuity, probably over-emphasized in many respects, but very real. Buck Marino was of this generation, but when he finds himself in the room above the Vietnamese laundry in Phu Bai with Janie, he suddenly realizes what is about to occur is not simply a sexual tryst. Chapter Nine, “A Night at the Laundry,” is my next favorite scene, because Buck realizes if he follows through and makes love with Janie, he is signing a lifetime mortgage of commitment. 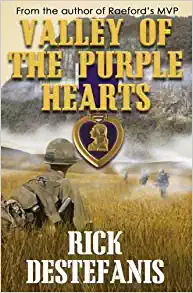 Valley of the Purple Hearts, will be out by August 1st, 2017, and the first three books in the Vietnam War Series are available in paperback and Kindle editions at Amazon.com , and can be ordered through most book stores.